.. how the products have helped them, physically, relaxingly, whatever. We want to share your feedback to others so that we and others can benefit as well. Hi KK, I hv accidently kept our shea butter bought in 2011 n found it recently, 2017. 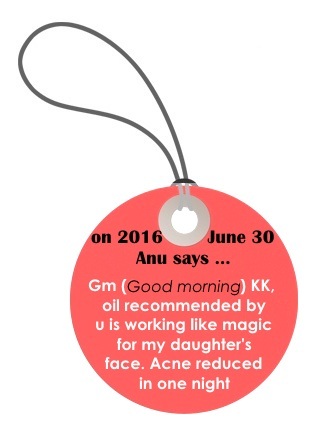 I use it and is still in perfect condition n good to my skin. I like that the shea butter is quickly absorbed into the skin. I have been using it on dry part of m skin, I also like the smell (surprisingly)! The shea butter is v soothing to the skin. I love it. Over the years we've tried steriod creams, antibiotics and all they do work of course. But the goo news is that the dry scars actually lighten up and become smooth like normal skin using the shea butter. I had skin problem on my leg for a few months, see a few doctors and still cant get it fully fixed, feeling itchy and at times have to pue medical plaster to prevent me from scratching. 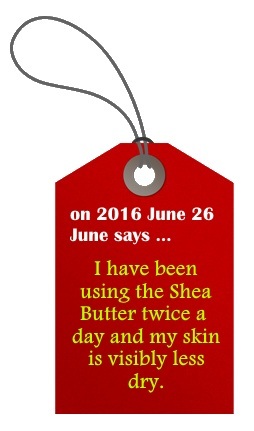 I was introduced to the raw shea butter, tried it and my skin improves substantially within one to two weeks. Would highly recommend this natural cure solution to those who suffer skin problem as me. ​Her scar and eczema have improved after using Shea Butter. I tried the shea butter sample u gave me then researched it! Your stuff was really lovely to use so wanted more! KK, your hair oil is gooooooooooooooood. I applied UNIKK hair loss and hair growth blend for slightly 5 months and I am grateful to report that the blend does work! Now my hair fall less and I can see new bay hair growing. Although it takes time but I would recommend this oil blends to any who needs it. Over the years, we have learn from feed backs from our customers, suppliers and friends. We look forward to more feed backs for continuous improvement. The Deadsea blackmud soap cleans really well and leave pores tight and nice, good for face and body. The faint earthly muddy smells great and has little particles in it that helps to exfoliate. The Shea butter is rich and leaves a feelign of luxury on the skin. I tried it on my body and coupled with essential oils mixed in, smells good an it a must-have body/hand moisturizer. For use on the face, I would say it's definitely great for dry skin. The Dead Sea Black Mud helps to soothe my eczema skin. Hi KK, I just use the sulfur soap and the Shea Butter. I feel my skin is more relieved and not itch after using. IT's amazing. I will get more from you next week as I am going to tKL for a business trip next week. Thank you so much. IT's been great talking to you and your husband. Hi gd evening Ms KK, believe me, just tried bathing the Dead Sea Salts which I hv ordered from you n I found it so nice to my dry skin leaving it tender moist and delightful scent of geranium and lavender. Being a psoriasis patient, I have tried many body cleanser products, but none of them was able to help relieve the redness and scaly condition of my skin. I like the Dead Sea Sulfur soap. I makes my sin feels clean and smooth after using it. I have been having some radiation treatment of 30 sessions over 6 weeks on my breast area. The effects of this treatment was that the wound are was burnt. 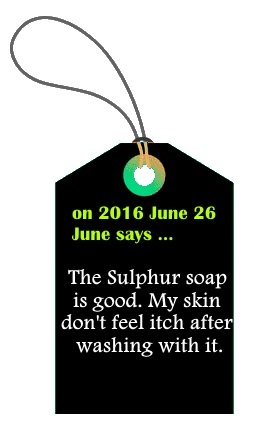 The skin was peeling and nothing I used was able to bring any relief. My doctor suggested that I use frankincense oil. That was how I came to know uniKKessential. KK was most knowledgeable and shared with me many aspects of essential oils. I used frankincense oil mixed with organic camellia oil. I use it once a day every evening. The benefits could be seen within a week. The skin began to look like and feel like normal skin again after 3 weeks of use. I am delighted with the benefits and would recommend it. Hi! The camellia oil is good. Not too oily and easily absorbed. Thanks for the recommendation! Frankly speaking, I love your camellia oil and shea butter. Give me nice hair, lips and hands. My sister love the camellia face oil and she will place a new order soon. I will get the camellia oil from you again soon. Love it! Thanks. Our agent in Hong Kong sells this product (since 2014) to cancer patients in their 50s. ​<< Come and see/hear, God is good!